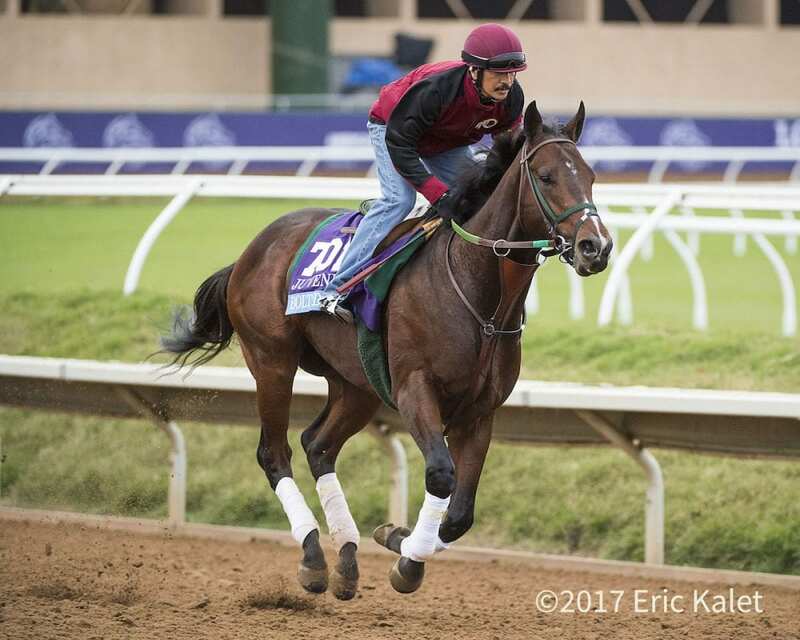 Mick Ruis holds more than a modicum of hope that Bolt d'Oro, one of three finalists for an Eclipse Award as outstanding 2-year-old male of 2017, will embark on the Triple Crown trail after missing valuable training time recently due to a pulled muscle. Ruis said Bolt d'Oro “was a little stiff and off for three days because we wanted to be really careful and sure nothing was wrong. We gave him a good (nuclear) scan, he came back fine and is back galloping. “My first preference would be to run in the San Felipe and then the ($1 million, Grade I) Santa Anita Derby (on April 7), because I would love to stay here and run where we've been stabled, and it looks like we'd do that, for sure. Understandably, Ruis has a vested interest in the outcome of the Jan. 25 Eclipse Awards, and even though the votes are in but not yet announced, he took a moment to lobby for his two-time Grade I winner. “Going into the Breeders' Cup (Juvenile), he was the biggest favorite of the day,” Ruis pointed out. “He ended up having a bad trip, going wide around both turns to where Corey (Nakatani) couldn't get in, but we were closing at the end and the only ones really finishing. This entry was posted in NL Article, Racing and tagged bolt d'oro, breeders' cup juvenile, eclipse award, good magic, kentucky derby, medaglia d'oro, mick ruis, road to the kentucky derby, San Felipe Stakes, santa anita, santa anita derby, Triple Crown by Ed Golden/Santa Anita. Bookmark the permalink.